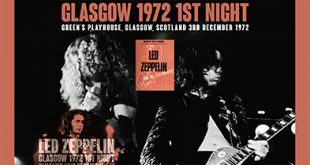 Led Zeppelin’s final show before Bonham’s death first surfaced on vinyl on Bonzo’s Last Ever Gig In Berlin July 1980 (Z 8077) is missing “Whole Lotta Love,” and Bonzo’s Last Ever Gig (Amazing Stork 7780 A-F) is assembled from various tape sources. Almost all of the compact disc releses utilize the soundboard recording with the first Final Touch (Condor 1998) and Last Stand (Condor 1999) in 1989. These two are don’t have the complete show and the set list is messed up. 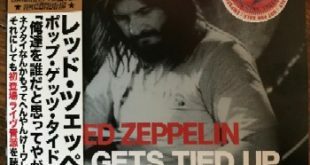 The soundboard can also be found on Complete Berlin (SIRA 111/112), Bonzo At Last (Seagull CD027/2) with three songs from Bremen, The Last (Immigrant IM-010~2) with some of the audience recording, The Final Tour European Daze 1980 (PATRIOT003-1/2), The Complete Last Concert (Baby Face BF29/30) with “Achilles Last Stand” from Rotterdam, Heineken (Tarantura LAST 1,2) and Berlin 1980 (Tarantura 1980-25, 26). 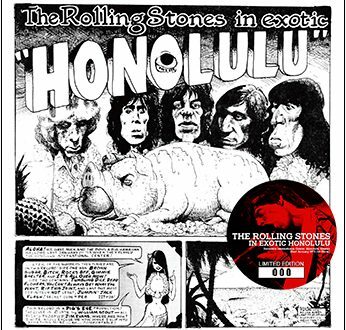 The encores are on Spare Parts 1980 (POT-003), “Black Dog,” “In The Evening,” “Rain Song,” “Since I’ve Been Loving You,” and “Rock And Roll” appear on the final disc of the boxset Cabala (OSOZ 001/8), and some material are on the two box sets Through The Years (Big Music BIG 4001~4005) in 1993 and Another Trip (Big Music BIG 4023~4027) in 1994. Jimmy Page says, “Good evening all. It’s nice to see you, and it’s nice to be seen I can tell you. We got a number from the annals of rock history. It’s not called ‘Black Dog Jimmy’ but called ‘Schwartz Hund. '” Again “Black Dog” is very strong with a fluid solo by Page in the song. Plant’s first words are: “As Jimmy already said, good evening. What he didn’t say was, I know how he feels because he loves this town very much. Well, we’re back. We managed to get an album together eighteen months two years ago called In Through The Out Door. This is a track from that called ‘In The Evening. '” This is one of their strongest latter day numbers. At Knebworth it was played late in the set with Page’s guitar solo and a Bonham tympani solo serving as a long introduction. But on the final tour it was moved up earlier in the set without the bombast. The song really didn’t need it since it has plenty of bite on its own. “This is from one of the very very formative parts of it all…” Plant says before the next song. Someone shouts out “Rock And Roll!” “No, that was another formative part. This is called ‘The Rain Song. 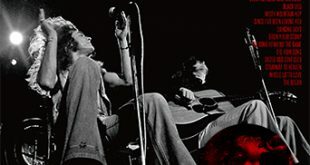 '” Plant gives a long introduction to “Hot Dog” again referencing the Showco staff, and “All My Love” is played with no introduction as it is on all the stops on the tour. On most dates Jones begins the keyboard solo too fast but in Berlin he plays it perfect. “Trampled Underfoot” is dedicated to the roadies and this twelve minute version is one of the better ones on tape. 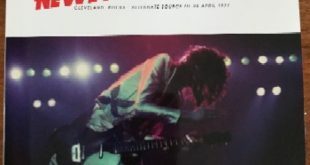 Page and Jones change tempos throughout the solo lending a heaviness the studio version only hinted at, and Page plays a dense, expressionistic solo in the middle. The final encore of “Whole Lotta Love” is one of the most intriging tracks in the latter days of Zeppelin. This represents yet another recasting of the song and unlike the “Whole Lotta Love” / “Heartbreaker” experiment in Dortmund this one works. This eighteen minute wonder has been dubbed the “industrial” version but such an appellation is really unfair. Industrial music as an artform wasn’t invented until several years later (with the Belgian band Front 242 although many would argue it began with Kraftwerk). What distinguishes this track is that Jone Paul Jones, for the only time, plays the lead on bass guitar. With the distorted treble he sounds like John Entwistle and this recalls the way The Who would jam in concert. 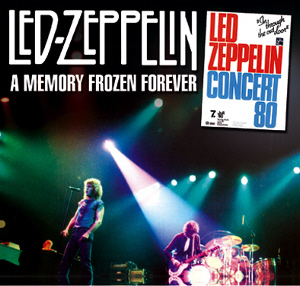 A Memory Frozen Forever is packaged in a tri-fold gatefold sleeve with photos from the actual gig on the artwork. The sound quality is outstanding and the editing job between sources is impeccable and this is worth having. I stand corrected. Genesis P-Orridge should be given credit. I’d just like to point out that Industrial music was invented by Throbbing Gristle in the mid-late 70’s, NOT by Front 242! As I mentioned in the “New Releases” section The Godfather has carefully added a AUD source in order to make this more complete and it’s a very enjoyable listen with fantastic trifold packaging. There is another splice between soundboard and audience – it is near the end of Kashmir.